The weirdness flows between us. Anyone can tell to see us. There was a little organisational chaos around this week’s DRC – we were meant to meet last week, at Tom’s with a complicated theme involving some serious (for us) logistical planning, but things fell through, so we rescheduled a regular, unthemed meeting for my house at short notice. So it seemed logical to go back to my mental checklist of albums I first thought of when DRC was conceived, and this excitable slice of “punk jazz” has now wormed its way to the top of that pile. Released just before Christmas in 2006, I reviewed Skinny Grin at the time, and made bold claims for its genius and potential as a marketable crossover from the vibrant London jazz scene that’s produced seemingly scores of tokenistic-jazz-choice Mercury nominations – Polar Bear, Basquiat Strings, Portico Quartet, even avant-rock choices like The Invisible. I was convinced that Skinny Grin would garner universal acclaim and massive success. Sadly, although it definitely got the acclaim, its bizarre choice of release date saw it fall into the cracks between Sufjan Stevens Yuletide boxsets and Celine Dion best-ofs, and nobody outside the crowd of usual suspects seemed to become enthused by it; it was too late to make any 2006 end-of-year lists, and by the time the 2007 ones rolled around, it had been forgotten in favour of Battles, who did a similar thing but seemingly from a different direction. Skinny Grin itself is frenetic, groovy, teetering-on-the-edge-of-chaos stuff. One track is mixed by none other than DRC-fave Scott Walker, who adds what sounds like a muzzle of angry electronic bees to the jerking, multi-directional instrumentation. Guest vocalists, and bandleader Pete Wareham, trading saxophone for microphone, add a punky, poppy dimension to some tracks, but it’s the (predominantly) instrumental tracks that hit the hardest, packing a progressive punch that transgresses genre boundaries like little else I’ve heard before or since. It’s not just jazz fusion; it’s far more exciting than that. Tom Listened: I am amazed at how consistently Nick manages to choose records that I don’t know, most of which it’s turns out, I really like! This was another one, captivating from start to end, hard to pin down (was it jazz? rock?, fusion? – horrible word that), yet so effective in doing what it was setting out to achieve. I liked the vocal tracks just as much as the instrumental ones and would look forward to exploring Skinny Grin further, despite the fact the band have such an awful, and totally misleading, name. Well done Nick – another goodie! Rob listened: I loved the first track which seemed cast as a face-off between a cocktail jazz quartet and a herd of straining mid-90s metal apologists. Which is all good in my book. As the record progressed, it started to lose focus, a sense of purpose, for me at least. 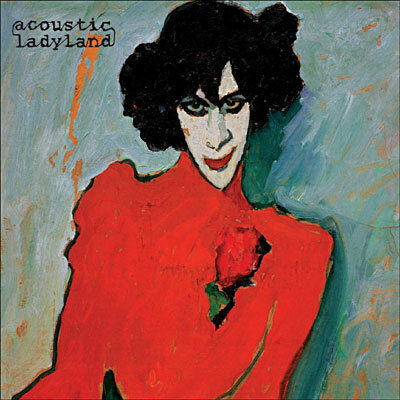 I liked the compressed thrash jazz workouts wherein Acoustic Ladyland genuinely seemed to be onto something, combining the free associative joy of both genres without, apparently, doing either a disservice, but the more the record went on, the more I found my attention drifting. Devon Record Club Blog at WordPress.com.